Our garage almost filled up with water bottles last year. You know the big blue ones you put on top of a water cooler? I kept forgetting to put the empty ones out for pick up, but they kept giving us new water. Pretty soon we had at least 15 water bottles sitting in the garage – some full, some empty. What’s so hard about remembering to put bottles on the porch for pick up? Well, nothing. Except that life gets busy and I just forgot. Do you ever wonder why easy things sometimes don’t get done? Even things that we know are important get put off. We are all short on time, aren’t we? Lack of time is the greatest threat to proper estate planning. You know that nagging feeling that you need to take care of something, but you keep putting it off? As long as you put it off, it continues to eat away at you robbing you of peace. Lack of good planning can cost you money — more attorneys’ fees later, more taxes, more money being paid to a nursing home. Plan ahead to protect what you’ve worked so hard for. Lack of effective estate planning tears families apart. Poor planning leaves families with wounds that never heal. Sadly, I see it all the time. A lack of proper planning can cause countless headaches and heartaches when it comes to healthcare, long-term care and housing as you age. It can also result in extra paperwork; long, drawn out court cases; and lost time from work while your loved ones try to deal with the mess you left behind. Over the years, we at Edwards Group have developed a system to make the process of planning as easy and painless as possible, while still being incredibly effective. Our process is so effective, in fact, that we offer a money back guarantee! After working with us, Bruce and Nancy from Aurora, Illinois said, “We now have peace of mind knowing that the way our trust accounts are set up will provide for [our children’s] future.” Can you imagine having such peace of mind? Imagine no longer having to carry the burden of worry and what if’s? Attend one of our free workshops. 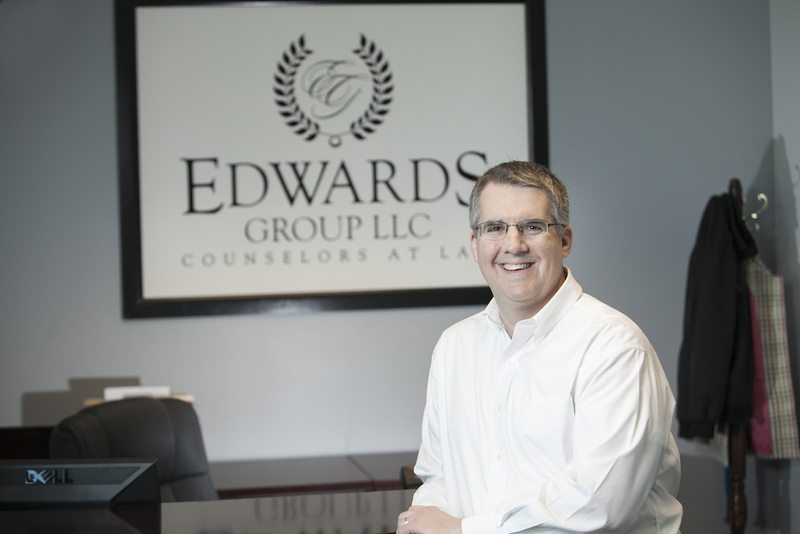 Our workshops are a great way to get to know Attorney David Edwards and our unique approach. We promise you’ll never be on the receiving end of a hard sell at our workshops. Read more about that here. Give us a call! Tarina loves helping people and answering their questions. In fact, she was a client before she ever started working at Edwards Group, so she has a unique perspective that many find helpful. Schedule an Initial Meeting. If you know you’re ready to get started and you want to stop putting it off any longer, just give us a call to schedule an Initial Meeting. At the meeting (which usually lasts about 45 minutes) an attorney will review your concerns and goals. The attorney will also help you understand the unique risks that your family faces. By the end of the meeting, you should understand your planning options, what they will cost and if Edwards Group is the right firm for you. Clients find this meeting to be very valuable in helping them understand their options. Remember, the biggest threat to your assets and your family is procrastination. Please take action immediately. Don’t put it off any longer. There is too much at stake.